On the edge of the Prairie Pothole Region looms a buffetof trophy ducks on public land that hardly anyone hunts. Poet William Cowper is credited with first saying, "Variety is the spice of life." I emphatically embrace his words, especially when it pertains to duck hunting. Not only do you hunt ducks in a variety of environs, from marshes and flooded timber to rice fields and sloughs and Great Lakes estuaries, but many times you never know what variety of ducks will show up. Go Canada goose hunting and you're going to shoot a big honker or a smaller cackler — they are going to look pretty much identical, one's just bigger than the other. With ducks it's different. They come in all kinds of species, sizes and configurations. It's that variety Cowper described that makes the waterfowling life special. I don't know of a region that produces more species of birds than the Sand Hills of Nebraska. It might be because of its location between the Prairie Pothole Region and more southern migration destinations, or that it hosts a potpourri of nesting waterfowl. I've shot wood ducks there even though there is a scarcity of trees. For a three-week period in late October through mid-November you can harvest a redhead, can, bluebill, butterball and whistler in the same day if you put your mind to it. It's not a big deal to shoot four or five different puddlers in the same morning. My friend even shot a wayward surf scoter one day on a Sand Hills lake. The waterfowl cornucopia is one thing that makes the Sand Hills in the northwest corner of Nebraska unique. The other is opportunity. This region is capable of growing cattle, mule deer, sharp-tails, yucca, ducks and little else. Look out across the vast rolling sea of grass and prairie and you'd get the impression that there's nothing out there for duck hunters. Closer inspection reveals spring-fed ponds, cattle tanks, seasonal flooding and cattail-ringed sloughs between the folds of the grassy hills. Those waterways host a surprising number of nesting waterfowl, especially when the PPR is dry, and a glut of waterfowl peak during the fall migration. And the best part is that few waterfowlers know or take advantage of the opportunity. Most important to hunters are many square miles of public land. "There's lots of water in the Sand Hills this year," advised Nebraska Game & Parks Waterfowl Specialist Mark Vrtiska. "A lot of the ponds and lakes are the result of run-off and spring rains, but some are spring-fed. During the years when we have good water conditions nesting tends to be more successful. Probably half the ducks you see early in the season during those years are locally-raised ducks." Ducks Unlimited Wildlife Biologist John Denton said that contributions to the fall flight from the Sand Hills are significant. "It's been estimated that in excess of 200,000 nesting hens utilize the Sand Hills during any given spring. The Sand Hills have been undervalued as spring wetlands and waterfowl habitat in the past. The area makes significant contributions to the overall waterfowl population." Denton shared that shallow ponds and sloughs are a buffet for nesting and migrant ducks. "When water levels are high these shallow ponds are filled with aquatic vegetation like smartweed, sedge, duck potato, widgeon grass and wild millet. These same ponds are alive with invertebrates and aquatic insects that ducks prefer." The insects and invertebrates are especially important for conditioning and fattening up ducks prior to nesting. Denton said that many waterfowl short stop the traditional Prairie Pothole Region in spring when water conditions are poor and utilize the abundant lakes and potholes and more uniform water conditions found in the Sand Hills instead (good news in years like these when water conditions in the PPR are poor). 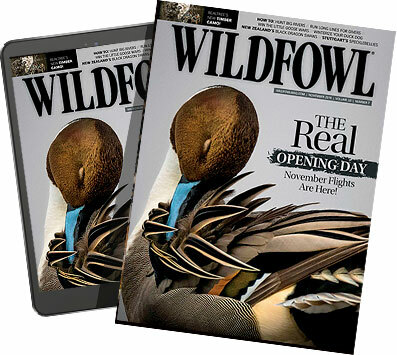 The contributions to the overall waterfowl population in the Central Flyway would be even more significant if nesting waterfowl in the Sand Hills were a little more successful. "Studies have shown that first-year nesting females have limited success," said Vrtiska. "They are just not as successful as nesters in say, the Prairie Pothole Region in spite of good nesting conditions and habitat. That might be because predation is high in the Sand Hills." Vrtiska said that an unusually high number of bull snakes account for poor nest mortality. Add the losses from other nest raiders like skunks, mink, raccoons and attacks on nesting females from owls, hawks, eagles and coyotes, and nesting success in not as high as biologists would like. Still, the contributions are significant. The region produces bumper crops of mallards, blue-wing teal, gadwall, pintails and shovelers most years. Cans and redheads also take advantage of the prime habitat found in the Sand Hills and are the two most common diving ducks that nest there. "DU is realizing the contributions that come from the region and is showing more interest and taking a more active role in managing the Sand Hills," claimed Denton. Two exclamation marks on the Sand Hills landscape from a duck hunting perspective are 45,8409-acre Crescent Lake and 71,516-acre Valentine National Wildlife Refuges. Crescent Lake is in western Nebraska 28 miles north of the town of Oshkosh. Fort Niobrara/Valentine NWR is approximately 30 miles south off the town of Valentine off U.S. Highway 83. Crescent Lake is not actually in the Crescent Lake NWR, but there are a dozen lakes and ponds that are. Bodies of water that are open to waterfowl hunting include Island, Crane, Christ and Shafer lakes. Watercraft with non-combustible motors are allowed on Island Lake. No watercraft are allowed on the others. The whole complex is a refuge for ducks. With little or no hunting pressure, ducks trade freely between the lakes. Ducks raised in the area are abundant during the first half of the season and as the potholes begin to freeze the lakes see a major influx of migratory birds. How long they stay depends on how quickly the lakes freeze up. Normally, there are birds around at least until Thanksgiving. I'll never forget the first time I hunted Crescent Lake NWR. It was opening day and since I was unfamiliar with the area, arrived just after daylight so I could get my bearings. Three groups of hunters on the lake were blasting away as I launched my boat. I didn't have to go far before finding a clump of cattails a good distance from the other hunters. Wads of blue-wings and spoonies screamed by as I tried to throw out a few decoys. With the abundance of teal and shovelers that were constantly whizzing the spread, I elected to hold out for some bigger ducks. Flocks of mallards, pintails and gadwall came from all directions. It was almost overwhelming. Suddenly, the shooting stopped. Apparently, the others were not as picky and limited out. I only had two gadwalls and a mallard to show for my efforts and reasoned I'd better start making the most of my opportunities, shooting three blue-wings to finish my limit in about 15 minutes. Crescent Lake is the largest lake in the area and was off-limits to waterfowl hunting until a few years ago. Nebraska Game & Fish signed a lease agreement with a private landowner that allows for public access to the lake. Outboard motors are allowed. The shallow, windswept lake doesn't have the abundance of aquatic vegetation that the refuge lakes do, but plenty of ducks still use it. There is an area where you can camp too. The potpourri of puddle ducks found at the refuge during the first few weeks of the season is mind-boggling. About the only thing you'd expect not to see is a black duck. Ring-necks are the only divers around then, but by the end of October bluebills, redheads and canvasback are commonplace. The weather can be fickle. I've hunted in blizzards on opening day in early October. The wind can be fierce. Flocks of cans and redheads descend on the Sand Hills when the prairie potholes begin to freeze. It's common to harvest a trophy can every day during that period. I told my friend, Cory Brown, about shooting a canvasback on three consecutive trips to the Sand Hills. "I've never shot a can before. I'd love to shoot a nice bull to get mounted," he said. A few days later found us pushing the boat into the cattails on Island Lake. We'd just barely gotten the boat covered when I announced, "Here comes your can!" A group of five with a big bull in the lead came right down the slot and skirted the outside edge of the decoys. Cory folded the lead bird. Ten minutes later, I had my trophy. The Valentine NWR was established in 1935 to preserve a remnant of the lands which exemplified the uniqueness of the Sand Hills' mid-and tall-grass prairie. Additional protection came about in 1976 when the refuge was designated as a National Natural Landmark. Valentine is pockmarked with lakes that attract and hold waterfowl, but only three are open to hunting on the refuge itself: Watts, Duck and Rice. There are ramps on Duck and Watts lakes and only electric motors are allowed. Other bodies of water in the area produce great shooting too with a minimal competition. Ballards Marsh SWMA is one of several state wildlife areas in the region that provide the same variety of waterfowl. "Ballards Marsh has good access and plenty of ducks, but it can be tough to hunt," shared Vrtiska. "You can improve your odds on Ballards and any of the Sand Hills lakes by using a boat. That way if the birds are using the opposite side of the lake or they want into a particular area, you can go after them." Kayaks are a great way to negotiate some of the shallower lakes on the NWR and SWMAs. Strap a dozen decoys on and you're good to go. If it's one of those bluebird days when the ducks aren't moving as much, it allows you to be way more mobile, but mind the wind. Other SWMAs that are potential hotspots for ducks near Valentine NWR include Rat, Beaver, Willow and Big Alkali lakes. Contact Nebraska's Game & Parks service center in Bassett at 402-684-2816. The Sand Hills are full of sloughs on private ranches from Crescent Lake east to Atkinson and O'Neil. The problem is absentee landowners run most of the ranches and finding who owns what is difficult. Most ranchers are proud of the deer they grow, but could care less about ducks and might give you permission if you can locate them. Your best bet is to visit the nearest watering hole, which any good duck hunter should do. Buy a few rounds, chat up the locals and you'll get all the information you need to make a great hunt. Where to stay: Lodging opportunities near Crescent Lake NWR are limited. One option is to drive back on the 28 miles of dirt road and stay in Oshkosh at the Shady Rest Motel (oshkoshshadyrest.com). It's rustic at best, but has been upgraded and boasts accommodations any waterfowler would be happy with. If you're interested in more plush rooms closer to the refuge there's Blue Creek Lodge (bluecreeklodging.com). Blue Creek is like a Phoenix rising from the ashes, halfway to the refuge from Oshkosh. Where to stay: Like Crescent Lake, there aren't a lot of lodging options near Valentine NWR. There are several motels and amenities in Valentine (visitvalentine.org) that cater to hunters. The Lord Ranch Resort (lordranchresort.com) is located on a private ranch southwest of Valentine. The cozy little cabins are perfect for waterfowlers wanting to explore the NWR and other Sand Hills lakes.